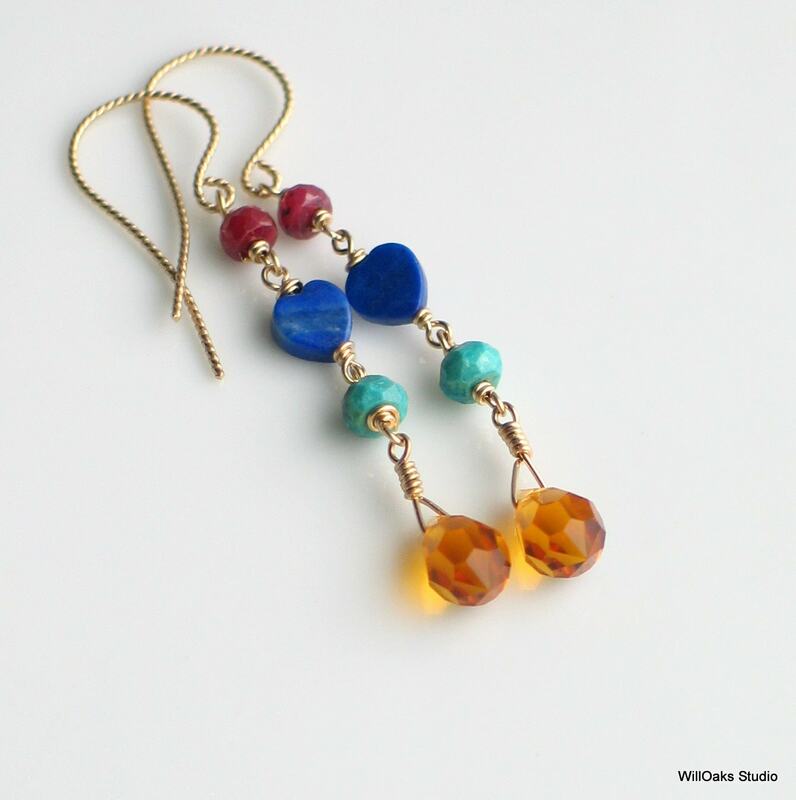 Bright, happy, dangle earrings in semiprecious stones and primary colors, made to brighten up your day. 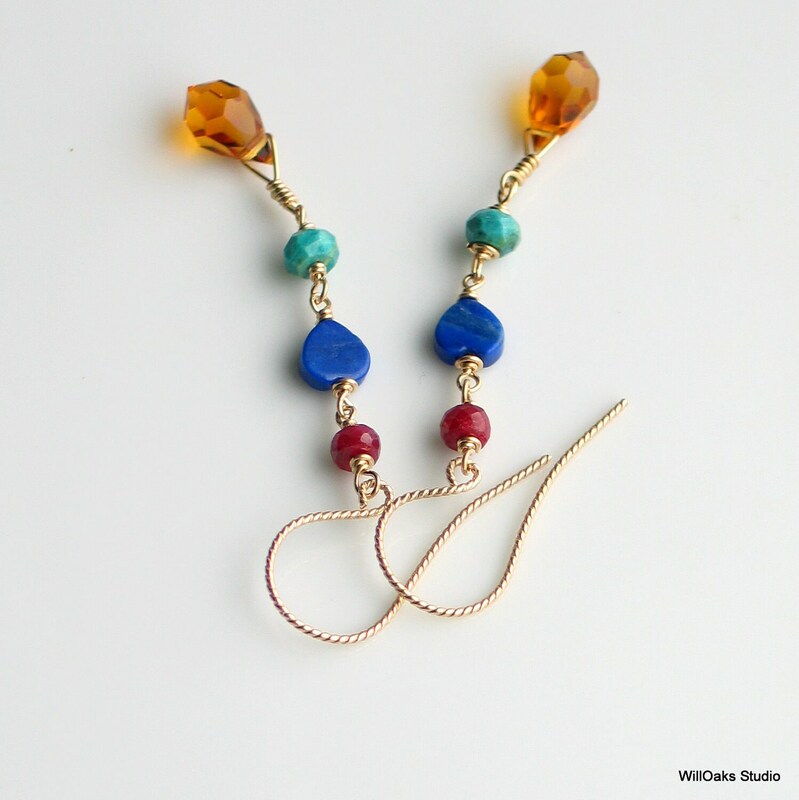 Red rubies, blue lapis lazuli hearts, faceted turquoise and a sparkly topaz yellow Czech cut crystal all linked together with 14/20 gold filled wire. Handmade ear wires of textured, gold filled 14/20 twisted wire add extra spark to this simple, striking composition. Light, long and swingy, a little bit Bohemian, and cheerful to cross seasons -- a perfect gift for her. Total length is 2 1/4" or 63 mm from the top of the ear wire. Currently a limited edition of 3 pairs. 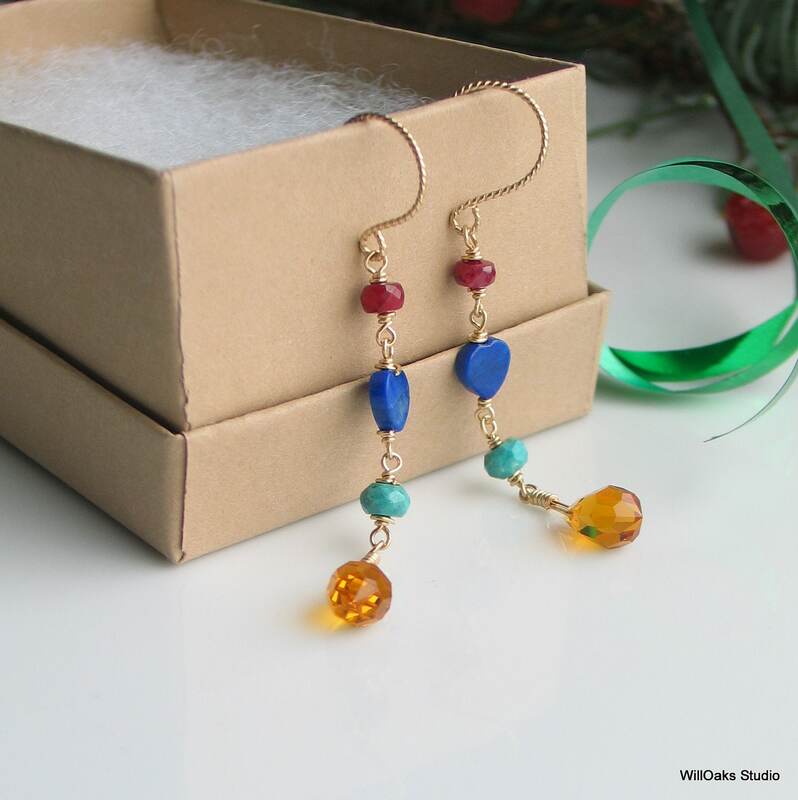 I designed these to be naturally bright and cheerful and because periodically, I cannot resist a dose of primary colors (you'll find other earrings that explore this palette in my studio here!) They will make a perfect gift for the right person. These earrings coordinate perfectly with a couple of bracelet designs here, inspired by the same idea of "primaries plus turquoise." You can find these here https://www.etsy.com/listing/110914911/primary-colors-and-turquoise-beaded? and here https://www.etsy.com/listing/110914001/turquoise-and-bright-primary-colors? WillOaks Studio earrings are packaged in decorative gift boxes, all ready to give or keep! Drop a note with any comments or questions-Thanks for stopping by! These are beautiful!! Thank You!! 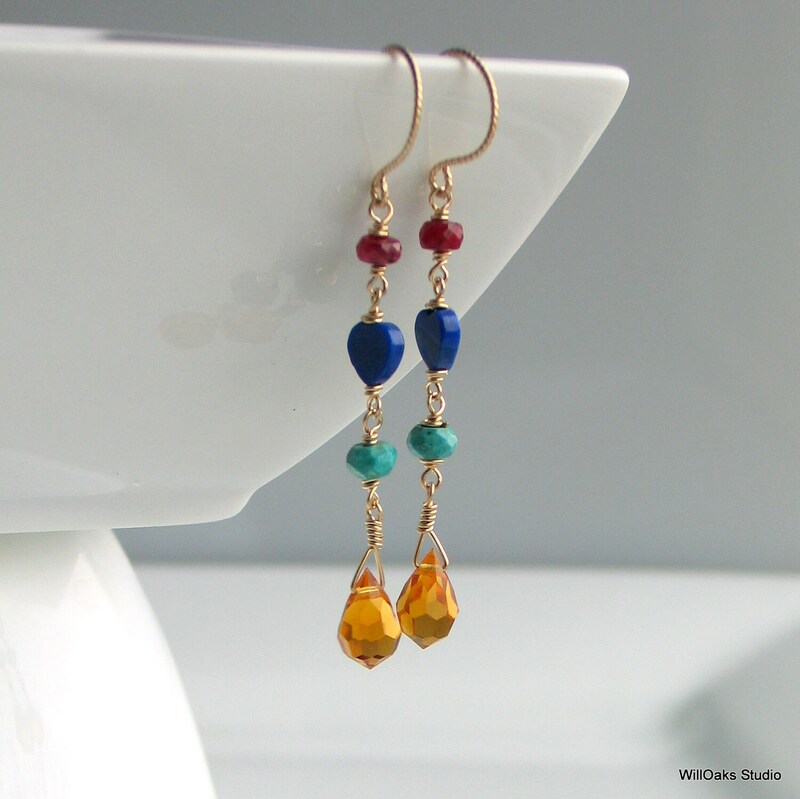 Beautiful earrings with great color combination! Always very pleased when I purchase from this shop :) Shipped quickly & arrived safely in personalized packaging. Thank You!! I bought these for my daughter and she is wearing them everyday!